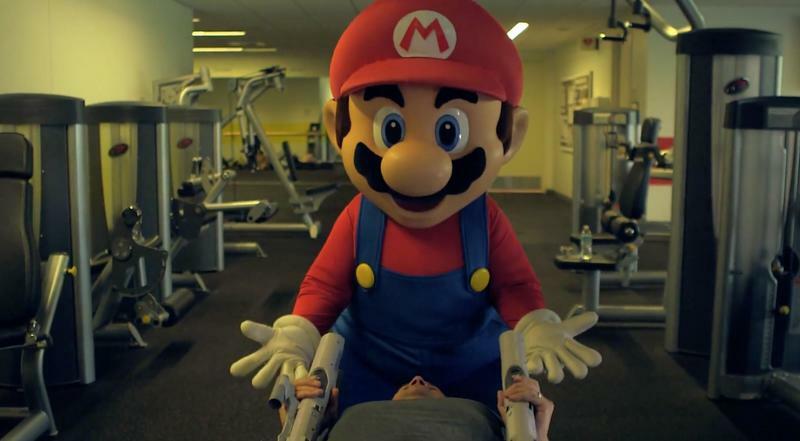 Nintendo has officially unveiled its plans for E3 2015, and it has done it with another ridiculous video clip. This time, NOA head Reggie Fils-Aime announces the return of the Nintendo World Championships, leaves his job, hires a kid, trains for the contest, comes back to work, moves the kid and fires Bill Trinen. He also presses two Super Scope 6s during a glorious 80s-esque montage. Right, as for what Nintendo will have on tap at E3. Here's the rub from the official YouTube description. Nintendo's expanded lineup at this year's E3 includes the glorious return of the Nintendo World Championships after a 25-year absence, a new Nintendo Digital Event on June 16 at 9 a.m. PT, the always in-depth Nintendo Treehouse: Live @ E3 from the show floor and a chance to play Mario Maker at more than 120 Best Buy locations. Right, no stage show again this year. I still think that's a good idea for Nintendo, and I vastly prefer this format to a traditional show.